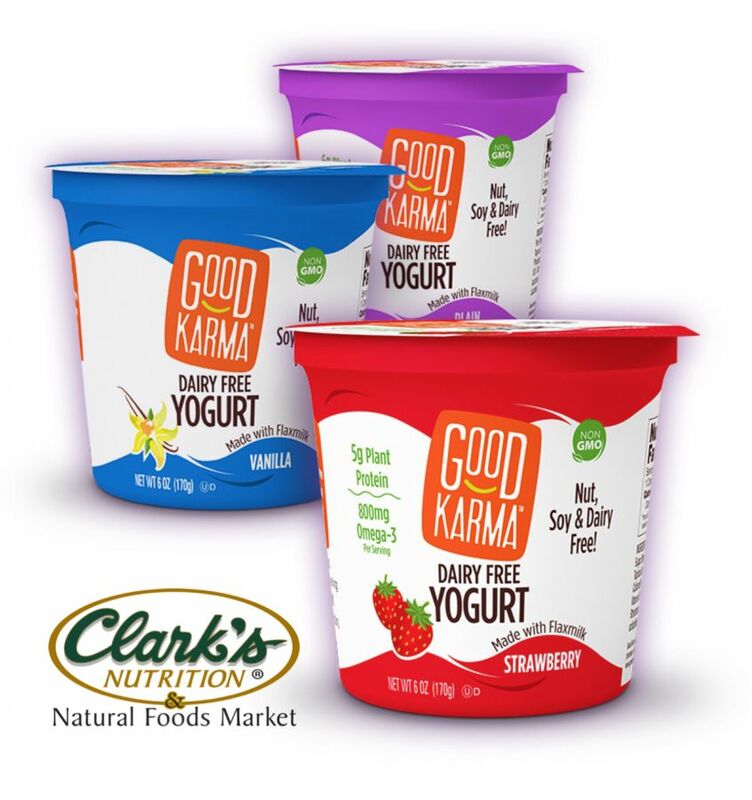 With the rich, creamy texture you crave, plus the healthy boost of 7 live and active cultures you love, Good Karma is offering up a deliriously delicious dairy free yogurt that also spoons up a serving of Omega-3 healthy fats. They've tinkered and tasted until they got it just right, and are the first to offer up vegan-friendly, dairy-free yogurt made with flaxmilk, with each serving delivering 5-6 grams of plant-based protein—and free of major allergens. Available now at Clark's stores.